I love helping people make positive changes and transform their lives, whether it’s their health/fitness, emotional health, relationships, job, finances, or spiritual life. But a lot of people get stuck. This can be incredibly frustrating. You know you have something you need to change in your life, but for some reason you just can’t seem to do it. Maybe you have trouble figuring out how to change. Or maybe there’s something that keeps getting in the way. When I have wanted to change something in my life, it has been helpful for me to think about four key things. When people get stuck, usually they get stuck at one of these steps. Doing some work around these steps can help you move forward and get going toward where you want to go. To make it easier to remember, I call it the WWHB method. The first step is to get in touch with what you want. What do you want to be different in your life? What’s the key problem you are facing? One exercise that can help you identify your want is the miracle question. Imagine you woke up tomorrow morning and your life was as you wanted it to be. What would your life look like? What would be different? Take some time to write out what you want in detail. What does it look like, feel like, smell like, taste like? Draw a picture of your want. Get clear on what you want. The second step is to get in touch with your why. 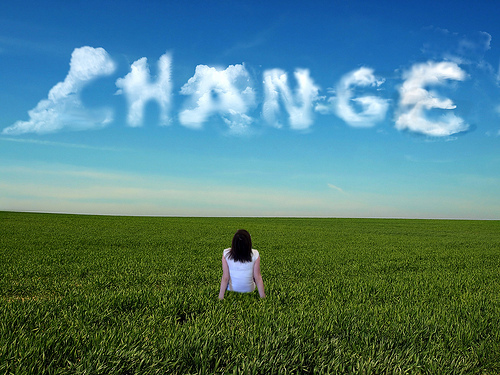 Why is this change important to you? One exercise that can help you identify your why is to get in touch with your values. Values are the things that are most important to us. For example, maybe we place a high value on health/fitness, family, or making a lot of money. Values are freely chosen. Make sure you identify your most important values. What is the connection between your values and the change you want to make in your life? The third step is how. How can you get from Point A (where you are now) to Point B (where you want to go)? What is the method? What are the steps? When considering the how, it’s important to seek out others who may have expertise or knowledge that you need. For whatever change you want to make in your life, there is usually a tried-and-true method that has been shown to work. Don’t reinvent the wheel. Seek out experts. Read books. Get a coach or counselor. Let someone who knows what they are doing show you the way. The fourth and final step is the block. When you move forward toward your goal, what gets in the way? What are the key obstacles in your way, and how can you navigate through them? Sometimes counseling or personal coaching is necessary at this point. We might have certain patterns of behavior that we have developed over time (often beginning in childhood). These patterns might have been effective back then, but they aren’t working now. We may have to change our patterns of behavior and engagement to successfully navigate through the blocks and get to where we want to go. What is one thing you want to change in your life? Try working through the WWHB method. What do you want? Why do you want it? How can you get there? What are the blocks?